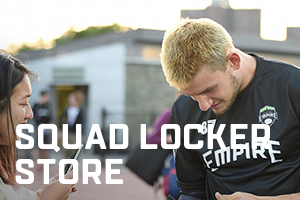 The New York Empire is a member of the AUDL, North America's Professional Ultimate Disc League. With a roster including nationally-acclaimed players, the 2019 season is highly anticipated as we work through the Eastern Division towards the League Championship Weekend. Tryouts and Preseason practices run from the end of January through the beginning of April. The Regular and Post Season runs from April through the middle of August.